On this page I will touch on the key UK Information Security and Computer laws that we must keep in mind as Penetration Testers. I recently had to review these Laws/Acts as part of my ongoing professional development, so thought it would be useful to create a quick page to pull them all together in a central place and write up some info on them. I have pulled content from other sources mainly Wikipedia, however I have clearly sited where used. (This is more for my own revision however someone else in my position may also find the content useful, however is still very much under construction). 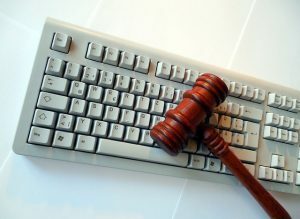 The Computer Misuse Act 2000 introduces three new criminal convictions as outlined by Wikipedia (January 2017). About the rights of individuals e.g. personal data shall be processed in accordance with the rights of data subjects (individuals). The Investigatory Powers Act 2016 aims to provide clear and transparent powers for the security intelligence services and law enforcement agencies, to carry out targeted interception of communications, bulk collection of communications data, and bulk interception of communications. The bill was approved by the House Of Lords of the 16th November 2016. The Regulation of Investigatory Powers Act (RIPA) 2000 is there to regulate the powers of interception of communications from public bodies. It was brought about by the growth in technology such as the internet and strong encryption. It enables certain public bodies to demand that ISP’s provide access to its customers communications and allows for mass surveillance.